Get 5% OFF any order including pillows and mattresses. Discount applies to all items, including sale and promotional items. You may be damaging your back and have poor posture if your mattress doesn’t provide adequate support. 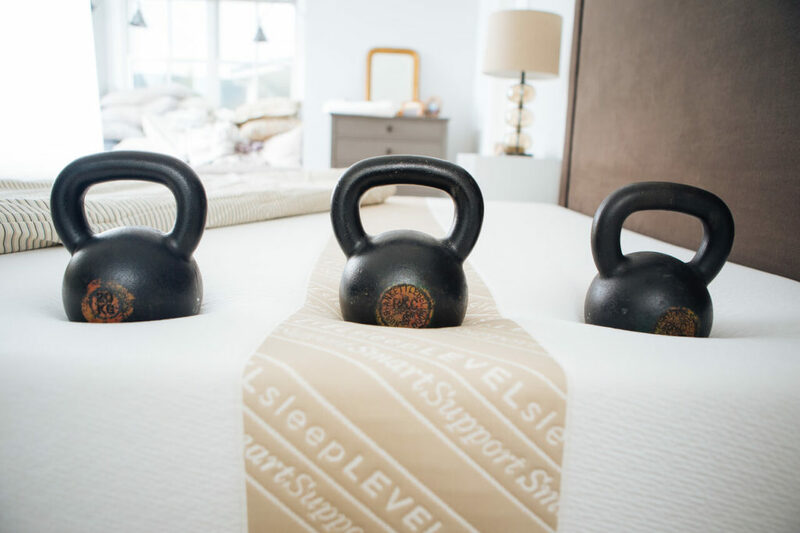 You can try flipping it over and placing plywood between the mattress and the box spring, or you can try the innovative Level Sleep TriSupport Mattress which is advertised as the latest must-have in sleep technology. As someone who has experienced frequent back pain, posture and sleep issues, I was very interested in testing out the mattress. Would it provide the back support I needed, improve my posture and help me sleep better? I was eager to find out. I was pleasantly surprised to discover the mattress shipped very quickly, arriving within 24-hours after ordering. The instructions were clear and simple to follow, and I was able to set it up by myself within a matter of minutes. My first perception of the mattress was that it was quite firm, but not necessarily uncomfortable. I was also surprised at the amount of back support, and initially thought it would be too much. However, I got used to the extra back support very quickly. I did sleep well the first night. The next morning, I had only a slight tenderness in my lower back as I became accustomed to sleeping on it. The second night was perhaps even more comfortable than the first. After the second night, I noticed that my lower back tenderness had disappeared. I also noticed I seemed to fall asleep very naturally, and did not wake up uncomfortable or sore at any point during the night. The TriSupport mattress is highly unique in its construction. It features a wide stripe of firmer lumbar support foam with softer zones to provide support for the shoulders and hips. The stripe is visible on the mattress to make it easier to line yourself up on the mattress appropriately. The shoulder zone is the softest area of the mattress, to absorb the weight of the shoulders, absorb pressure, and reduce pain. Similarly, the hip and leg zones have a medium firmness to align the hips with the lower back and prevent pain. The lumbar or lower back zone is the firmest area, supporting the lower back and sides during sleep. The support ensures the lower back is aligned, supported, and pain-free. The design of this mattress is the culmination of decades of clinical research in the areas of spinal health and sleep quality. Every feature of the mattress has been fine-tuned based on scientific input and expertise. The zones of the body have different needs, and the TriSupport mattress is the only mattress that accommodates these needs to improve alignment and make sleeping more comfortable. The three zones accommodate the different curves, shapes, and weights of the various parts of the body to align the body and reduce the accumulation of pressure. This design is unlike the memory foam mattresses, which builds up too much support in the shoulders and hips, often making the user too hot during the night. This also tends to happen with innerspring coal mattresses, whose uniform sleep surface means that the spine becomes misaligned as pressures accumulate overnight. Many studies have been done in the fields of chiropractic, anatomy, and biomechanics on the importance of adequate lumbar support during sleep for humans. 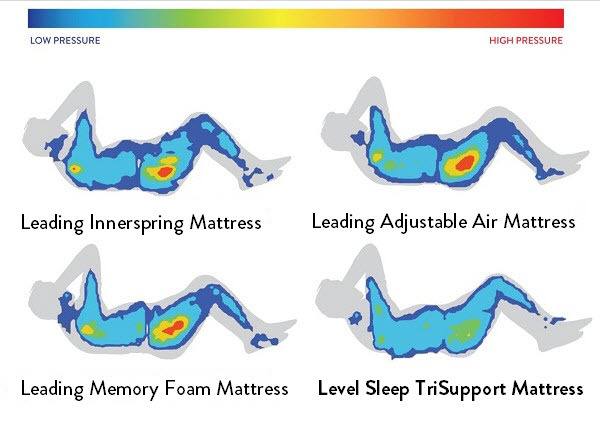 A landmark study published by the Journal of the Canadian Chiropractic Association showed that mattresses that incorporate lumbar supports – such as the Level Sleep TriSupport mattress – allow for pressures to be more evenly distributed across the pelvic, lumbar, and thoracic areas while lying down. It found that lumbar supports in mattresses can decrease the number of shearing forces acting on the lumbar spine. These forces can result in back pain and restlessness among more serious long-term effects. By preventing these shearing and compressive forces, you lessen your risk of back pain and increase sleep quality as well. Research has also found that the reduces pressure in the pelvic area associated with the Level Sleep mattress decreases sleep disturbance. 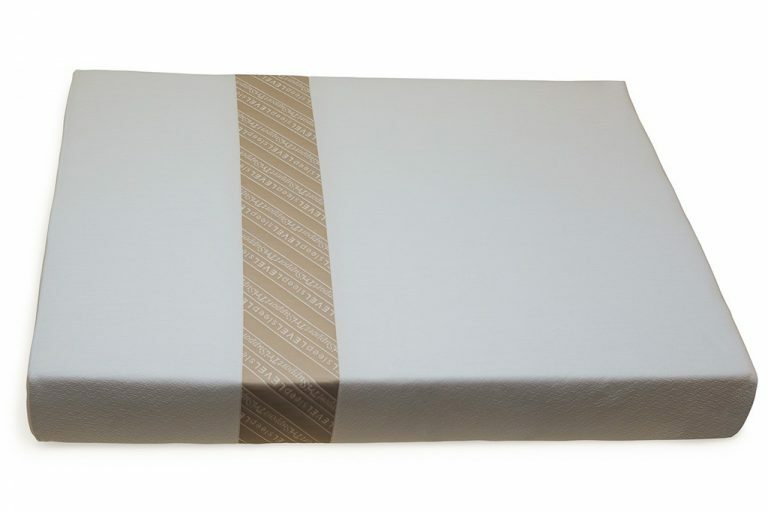 The Level Sleep mattress results in fewer pounds per square inch of pressure on the bones and muscles of the low back. 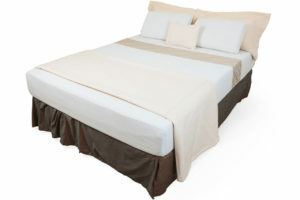 This results in a greater quantity of undisturbed sleep per night that any other conventional mattress available. What Do the Professionals Say About the Mattress? I was impressed to find out this mattress has been widely reviewed and recommended by a range of health professionals, including physicians and physical therapists. Among other benefits, they recommend it due to its benefits to spinal alignment. When I was researching the mattress, I noted chiropractors sell a lot of them. Chiropractors can help fix back pain and know a great deal about spinal alignment. This mattress is unique compared to other mattresses on the market today. Its most significant advantage is its scientifically proven spinal support and benefits to the health of the lower back. The spinal alignment this mattress allows is unparalleled in the mattress industry; there is simply no other mattress available that offers this benefit. It does this without sacrificing comfort. Most of online reviews of this mattress are 5 stars, which is a testament to its approval ratings and the comfort and health benefits users have found it provides. Another major reason I like this mattress is that it comes with an 11-year warranty. Similarly, the mattress comes with a 110-day free trial. This is a fantastic benefit and allows plenty of time to make sure the mattress is the right one for you. However, if you are anything like me, it will take far less than 110 days to see just how well it works. Finally, this mattress is 100% produced in the USA. Being produced in the USA also means the risk of exposure to potential toxins from production is eliminated. The price is somewhat higher than most mattresses. It is not the cheapest mattress on the market. However, if it helps to prevent or reduce debilitating back pain, no cost is too great, and the price seems reasonable from that perspective. One of my favorite parts of sleeping on this mattress how energized I felt the next morning. I always wake up refreshed. Energy and sleep are related. The mattress is constructed from very high-quality memory foam, is exceptionally comfortable, and I look forward to going to bed! A problem I have had with traditional memory foam mattresses is they either are comfortable or supportive, but not both. This mattress strikes the perfect balance between back support and comfort. I can verify that everything users have said about how this mattress shapes and supports your spine is true. You can feel the lumbar support as soon as you lay down. When you look at the mattress diagrams, you can see a band that shows where the support is, and it matches exactly how it supports your back while lying. No other mattress gives even close to the same amount of spinal alignment that the TriSleep provides. It was developed and tested by experts and professionals. The difference between this mattress and all the others is the amount of design and engineering that went into the types of foam that are used in different areas on the bed. After having slept on this mattress for a week, I know that I will be unable to go back to using any other type of mattress. Why? This is the only mattress where I know my spinal alignment is correct. Not only do I know this is true from the research, but I can feel the difference in my body. I can sleep in peace and comfort, and without any back pain in the morning. I can never go back to sleeping on a mattress where I know my back will be out of alignment throughout the night. The mattress is available to test in store in Sonoma, California, or can be ordered online. Try this mattress if you have back or neck problems – it might just solve them for good! Read more of my reviews about posture and posture corrector devices.